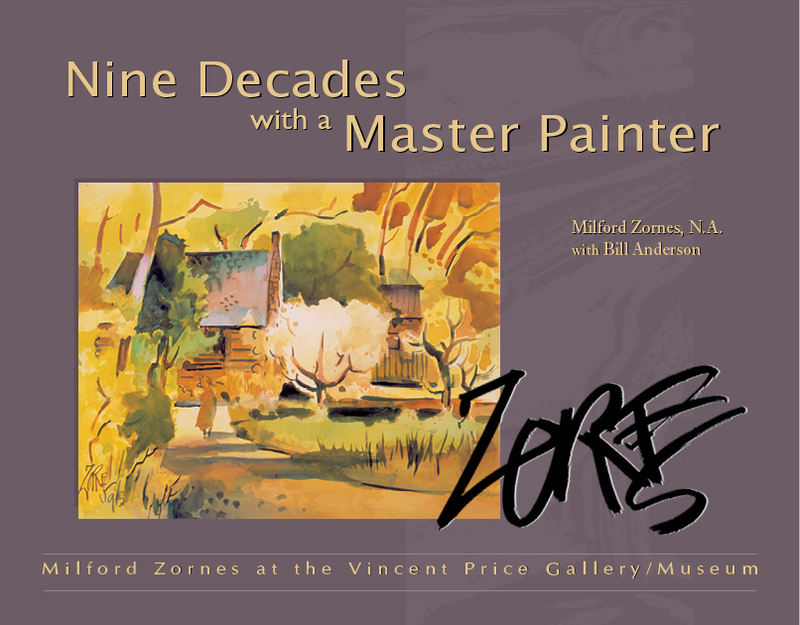 On January 25, 2019, Milford Zornes would have been 108. Hard to believe he’s been gone eight years. One reason he seems so present is Hal Baker, who keeps coming up with remarkable treasures from the boxes of papers left to him by his famous father-in-law. How do I happen to know about these treasures? Because Hal keeps telling me about them, reading me pieces, asking my opinion of what he should do with them. Of course I tell him they should be in print, and to my surprise, he does that. The first book came out in October 2017, just in time for Milford to be honored as the featured artist at the Padual Hills Art Fiesta in Claremont California. 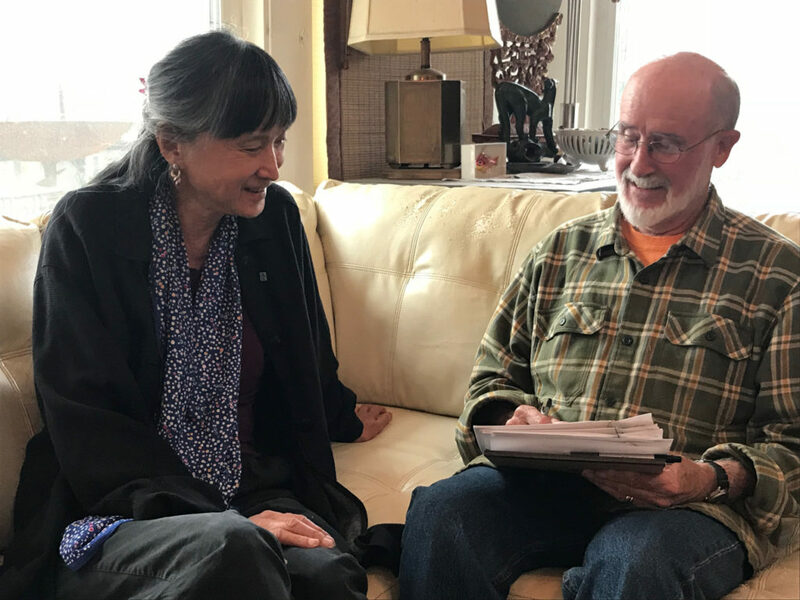 As a friend of Milford’s for fifty years, and publisher of four books of his art and approach to creativity, I’ve done countless hours of interviews with the master painter, my favorite and most inspiring teacher. 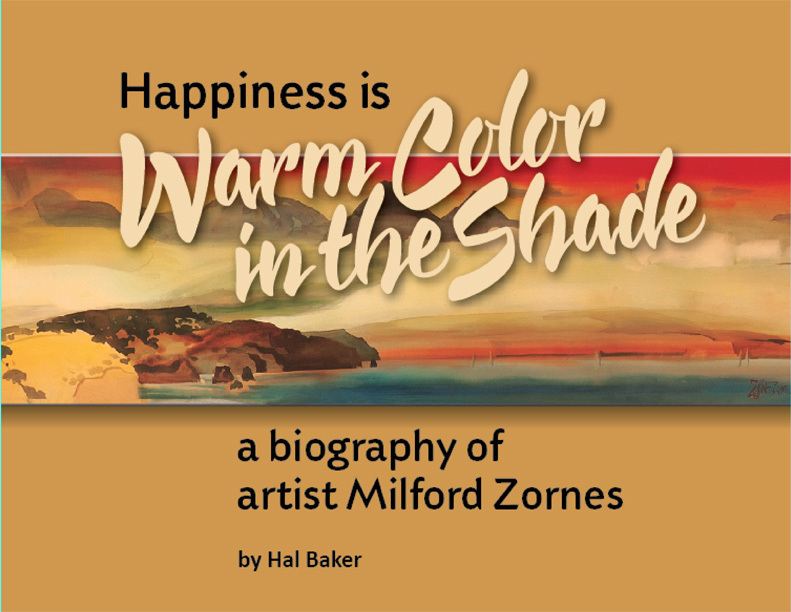 But “Happiness Is Warm Colors in the Shade” is a succinct, surprising, extensive, and insightful presentation of Milford’s life, thoughts, and influence in his hundred years of time on Earth. I like to think I knew Milford pretty well, but ninety-nine percent of what’s in this book was new to me, and Hal and his wife Maria (Milford’s daughter) took great care in selecting pictures that have never been published anywhere else. Plus, it’s a masterpiece of visual delights, brilliantly laid out by Gene Sasse and Fred Hartson. It’s a treasure. Then Hal went on to research Milford’s trip to Uganda, with forty spectacular paintings of Africa that have been mostly hidden away. That one is still in process, but getting closer to completion, he hopes it will be sometime this year. I worked three years on a fully-color book of conversations between Milford and his colleague and friend, Bill Anderson. We had planned to call it “To Be a Painter” because Milford said he always wanted to write a book with that name. Dan was in the last stages of layout when Milford called and said, “I’ve been thinking. I want a different title. I want to save ‘To Be a Painter’ for my next book.” He was ninety five at the time. Dan said he hoped when he was ninety-five he would still be thinking ahead to his next project. Hal says he thinks he’ll be done with them soon. And you know what? Watching him put together his first book with interviews conducted all over the world and tireless research and tracking down information, stories, accounts, and missing pieces, I believe he can do it. Stay tuned! I’ll let you know. Sounds incredible! Thanks for your involvement in this, Carolyn. Please keep me posted. A TREASURE indeed, along with the right people to bring it all into the LIGHT!